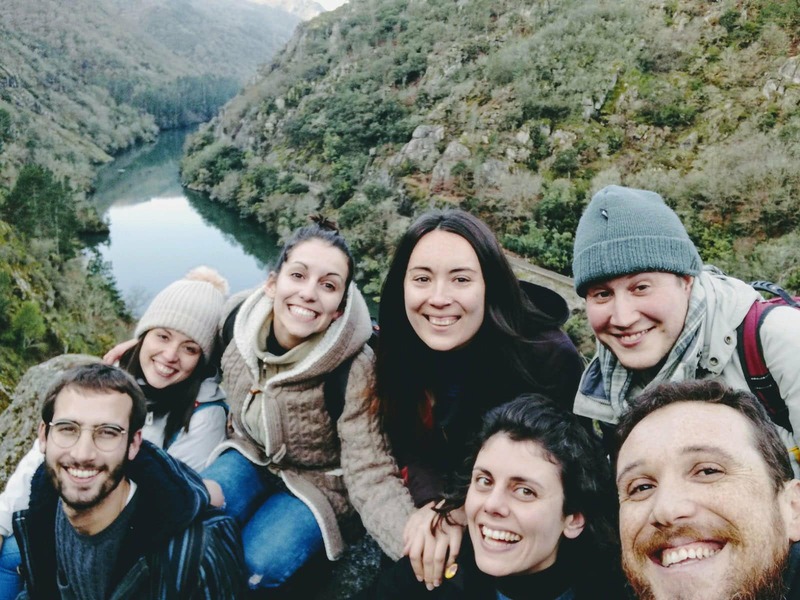 Experiencias de SVE : Benvido Franco, o noso voluntario italiano! Benvido Franco, o noso voluntario italiano! in an alpine valley next to the lake of Como. I arrived here in Galicia about ten days ago, and I was immediately impressed by all the forests and fields I saw during the journey by train from Santiago to my destination: Ourense! Was incredible to see so much green in winter, that usually for me means that is everything frozen!! At the station I met Cindy, João and Susana waiting for me; I feel welcomed since the first steps through the town, reaching my new house. I was involved since the first days in the works and team of Sustinea, and I think that during the springtime I’ll spend more time outside for the activities we’re planning now. During these days I’m discovering the city and the local food also! Then at night in Castro Caldelas we participated in “Festa dos Fachós” that is one of the oldest traditional celebrations in Galicia. This begin with a procession and the burning of straw; fire is one of the main symbols of this celebration, probably evocating a purificative event. After that, this celebration continues in the square of the town with music and dances, accompanied by the sound of gaita, that is a type of backpipe. I’d really like to see other places where those ancient traditions are keeped alive, like during the events that are part of “Entroido” that is the name for Carnival celabration here in Galicia. We’re going to be there during the next month!